Photoshop widely used in web design, mobile design and photo editing software as we already know that. And Sketch has been famous afterward. But now many professionals have switched to the Sketch. 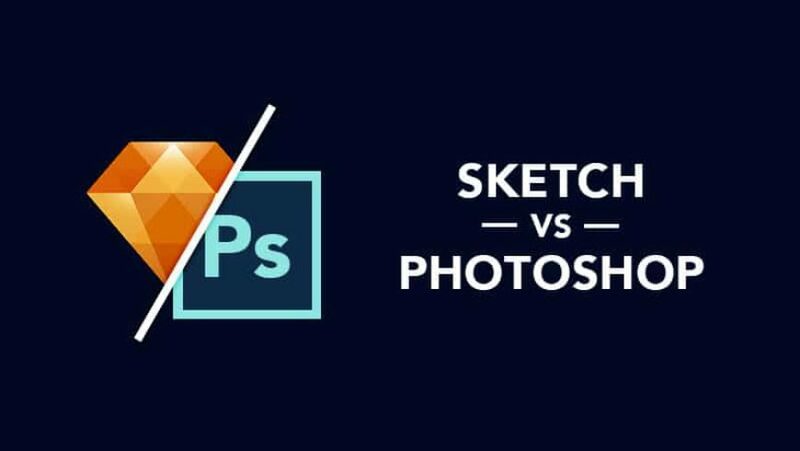 And in between this, many professionals prefer to convert Sketch file to PSD. As both the software have their advantages and disadvantages, it is a great confusion that which to choose. Let me put all the pros and cons in front of you being neutral and you go with what you are looking for exactly! 1. Use of Library: Photoshop has an inbuilt library that you can use in mobile and web design. That’s why it’s beneficial to convert Sketch file to PSD. 2. Use the Shortcuts: Photoshop allows its users to apply some shortcut keys to perform various tasks that many users love it. So, you can choose PSD over sketch if you want to make the tasks quick and easy. 3. Availability: Photoshop is available for PC and MAC both, While Sketch runs on the MAC OS X only. Converting Sketch to PSD is the only option if you own a PC. 4. Color Management: Photoshop is there with the best color management capabilities. The vast RGB space served by Photoshop make it an important reason to optimize to keep the files consistent. 5. Photo Editing: Choose PSD for its extensive photo editing capabilities. Make your clicks more presentable with the sharp photo editing features that Sketch does not provide. 6. Zooming Feature: Zoom in-Zoom out is more flexible with the Photoshop. It offers multiple levels of zoom. Sketch offers only one level of zoom. 7. Smooth Performance: Sketch performs well but, it still has some bugs. Photoshop works well, and it does not have any virus. 1. Quick Operations: With compare to the Photoshop, Sketch is the fast operating system. If you choose photoshop, you may work slower. 2. Large Documents: Sketch makes the small documents whereas using PSD make you get the large documents. UI & Web Design- Sketch is poor for photo editing where Photoshop wins the competition. But on the other hand, Sketch is strongly recommended for web design and UI. 3. Multiple Artboards: Photoshop has single artboard, While Sketch is the most preferable for designing the responsive websites. Hence, you can see everything you have developed at once. The sketch is the best suitable for web design and UI but, the experts still say that it cannot replace the Photoshop entirely due to some bugs and lack features of photo editing. Ideally, we can conclude that not a single software is firmly the best software for photo editing as both have their pros and cons. Depending on the specific requirements and skill sets you have you must choose yours!